Tigerlillys Boutique Hotel, is a small adult only resort in Nusa Lembongan, a beautiful island located 30 minutes away from Bali. The perfect accommodation for adventurous travelers who want love to surf, snorkel, swim, scuba dive or take a yoga class while on holiday in paradise! Tigerlillys Boutique Hotel, Nusa Lembongan was created for adventurous travelers who appreciate beautiful natural surroundings, local culture and epic outdoor activities. Located on the main street of Jungut Batu, Tigerlillys is a hidden oasis of 8 beautifully appointed lumbungs, double storey wooden bungalows with alang-alang roofs that were built using traditional techniques & design. Each room has been individually styled with ornaments from the owner’s travels through Indonesia and India, and have views over Tigerlilly’s lush tropical garden. The swimming pool and comfy sunloungers are the perfect place to laze away a Lembongan day. As a thank you for choosing to stay with us and book directly we are offering a 5% discount on all our room types until the end of the month. Please click the Book Now button and enter the promo code TIGERLILLYS_SPECIAL to have the discount applied to your room rate. Each of our rooms at Tigerlillys Boutique Hotel are individually decorated. Each room looks out into our lush garden. Our staff carry out the daily Balinese offerings to the gods. A refreshing drink awaits you upon your arrival. 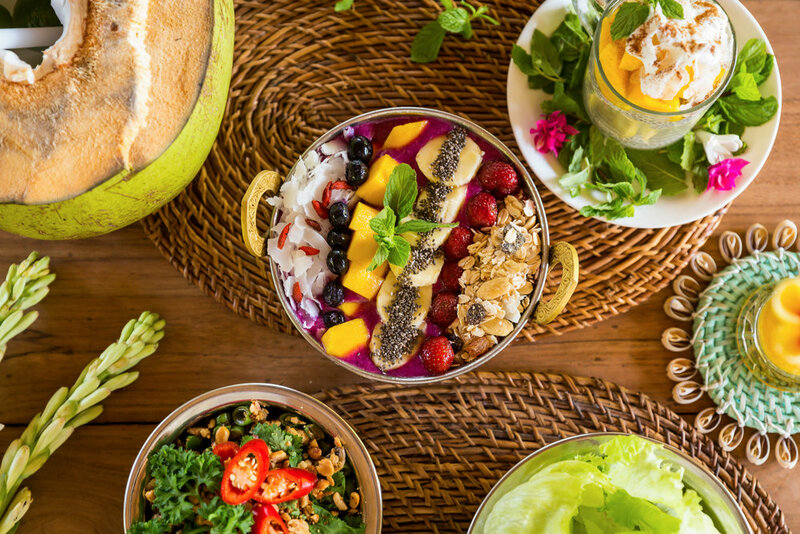 Tigerlillys Nusa Lembongan also has a restaurant that focuses on fresh and healthy food options.